Recently, United States Attorney Patrick A. Miles, Jr. announced in a Department of Justice press release that Gregory Claxton, a resident of Kentwood, pleaded guilty to evading the payment of federal income taxes to the IRS for the years 2006 through 2012. According to the release, Claxton willfully evaded paying nearly $149,000 in taxes by placing property and money in the names of other individuals. He will now be required to pay more than $200,000 in restitution to the IRS, which includes interest along with $250,000 in fines; he also faces up to five years in prison. Until 2000, Claxton was a certified public accountant according to court records. He was operating a tax preparation business for clients at the time he was investigated and found to be evading payment of taxes. Claxton transferred the deed of his home to a trust in his wife’s name, and also deposited money from his business into his wife’s bank accounts in order to make it appear he did not have the money to pay the taxes owed. Claxton met with the IRS to discuss the outstanding tax debt, and admitted transferring the deed of his house just two days earlier. Those involved in the investigation include Jarod J. Koopman, Special Agent in Charge, IRS – Criminal Investigation and other IRS special agents. Assistant U.S. Attorney Sally J. Berens prosecuted the case. 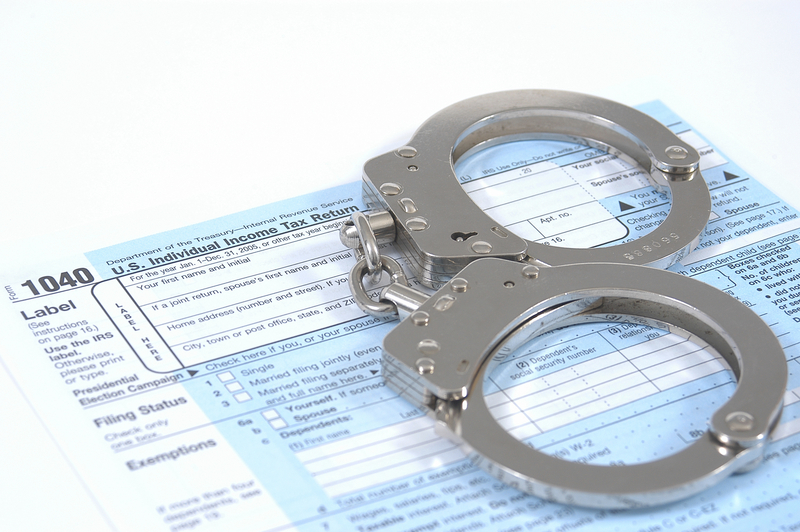 As with other crimes, the consequences for those who commit tax evasion, fraud, and other white collar crimes are serious and may include prison time, substantial fines, a criminal record, and more. In most cases, those who accept a plea agreement face punishment that is less severe than the sentence they would likely have faced had their case gone to trial. Additionally, individuals who file false tax returns are often subject to addition criminal charges, such as perjury. The IRS performs random audits every year, usually without the individual’s knowledge. When a discrepancy exists in a tax return, it usually results in a “red flag;” in this case, an IRS agent will personally perform an audit on a return. When a case involving tax fraud is prosecuted at the federal level, very specific elements must be proven beyond a reasonable doubt. One of these elements is that the individual committed tax evasion or fraud knowingly, or willfully – in other words, it was not an accident or case in which the individual simply made a mistake. Anyone who is being investigated by the IRS or who has been charged with tax fraud or any white collar crime must work with a competent Michigan criminal defense attorney with extensive experience in these types of cases. There are occasions on which it is best to plead guilty; your lawyer can advise you regarding all of your legal options and provide the legal support you need for the best possible result.